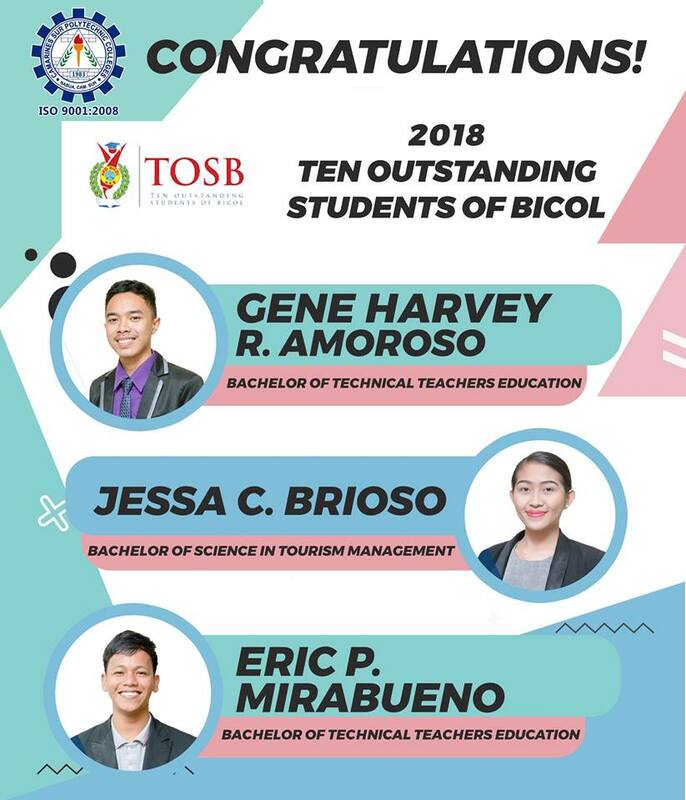 After the grueling preparation of the aspirants and paper screening of the TOSB Secretariat, 3 CSPCeans were hailed 2018 Ten Outstanding Students of Bicol namely: Gene Harvey Amoroso, a 3rd-year BTTE student, Jessa C. Brioso, a 4th-year BSTM student and Eric P. Mirabueno a BTTE graduating student. 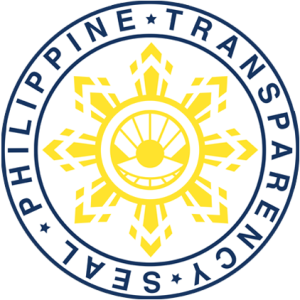 They will be competing with other qualifiers who came from different regions of the Philippines for the 2018 Ten Outstanding Students of the Philippines. It can be recalled that last year, Mr. Charles Michael Salas, a CSPC alumnus qualified for TOSB and made it to the Ten Outstanding Students of the Philippines.